Growing your own food has obvious benefits: good flavorful produce, a connection to the land, etc. 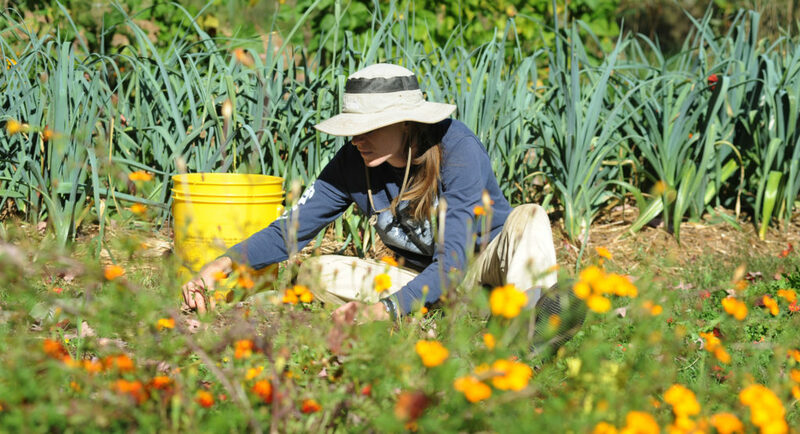 But did you know there are also therapeutic benefits of gardening? Even if you do not have access to a horticultural therapist, these experts have some tips on how to maximize the benefit of gardening to your mental health. “I think it’s about consistency,” Capra said. She recommends maintaining regularity in your gardening habit — for both the health of your plants, but also so you can reap the mental health benefits. Thanks for this article. It’s very well researched. I think it’s really important to address the mental health benefits of gardening, especially for children, and especially during school time. In my opinion, gardening should be appreciated as a therapy, every bit as much as food production. It should be encouraged and even subsidized as a method of reducing the enormous costs of hospital and professional treatment that may not be required if we didn’t always overlook the potential of interventions such as gardening. Thanks for your comment, Wayne! Gardening can definitely have mental health benefits for children, too. It would be interesting to see subsidies for horticultural therapy as well. We will definitely keep an eye out for any programs like that!